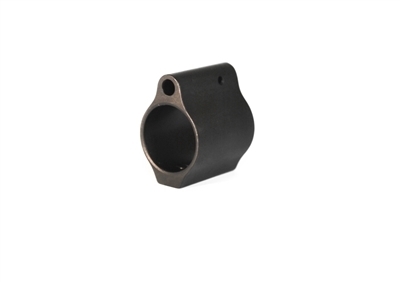 Our 4140 gun-quality steel 'Stress Free' gas blocks feature a honed interior surfaces that make installation of barrel and gas tube stress free. No more pinched fingers, scratched barrels, or marred finish from tapping with a hammer. Additionally, our Stress Free gas blocks utilize a tapered gas tube roll pin hole to ensure you're gas tube never comes loose. Be sure to install the gas tube roll pin from right to left.